Despite the unknown that accompanies all change, the timing could not have been more perfect. The Natatorium was undergoing a $20 million renovation, and there was an amazing sustainability story to tell. Lighting upgrades to the facility would result in 43% less energy usage than prior to renovation. The filtration system for the competition and diving pools were replaced, which would reduce water usage by 65% and filtration energy by 25%. All traditional water fountains were to be replaced with water bottle filling stations that allow users to refill their reusable bottles. All agreed that working towards zero waste seemed like a natural fit for a world-class pool, especially since the newly-renovated facility would debut at the 2016 Olympic Dive Trials from June 18-26. 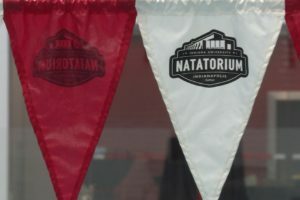 With national television coverage, as well as fans and athletes from across the country, this event was a phenomenal platform for telling the IU Natatorium’s sustainability story. Working with ten campus and community partners, the IUPUI Office of Sustainability galvanized efforts to make the Olympic Dive Trials the first zero waste athletic event in Indiana and the first zero waste Olympic event in the world. Operational changes in the facility included altering in-venue food and product offerings to minimize trash, an innovative re-design of the concessions menu to reflect end use of items purchased, installing new waste infrastructure and signage, altering back-of-house waste management processes, developing a communications and social media campaign in collaboration with USA Diving and the Olympics Local Organizing Committee, creating print material, and recruiting volunteers to assist with the effort. Engagement programming included a waterway restoration project the day before the Dive Trials, attended by over 30 individuals. The fan engagement area – the “H2O Zone” – included opportunities for fans to learn about zero waste, play interactive games, and take zero waste selfies. Additionally, volunteers walked the facility during the event to engage with fans around topics of recycling and compost. As a result of these operational and engagement efforts, the IU Natatorium achieved its zero waste goal with a 93% waste diversion rate. Over 10,00 fans and athletes learned about and participated in the zero waste effort. With 10 community partners involved – IUPUI Sustainability, IUPUI Food Services/Chartwells, IUPUI Campus Facility Services, IU Herron School of Art + Design, IU Natatorium, Indiana Sports Corp, USA Diving, Olympic Local Organizing Committee, Ray’s Trash, and GreenCycle of Indiana – the impact of this program was felt across the Indianapolis athletic community, as well as the Olympic community. As a result of this program’s success, future athletic events hosted in Indianapolis are now considering sustainability early on in the process. 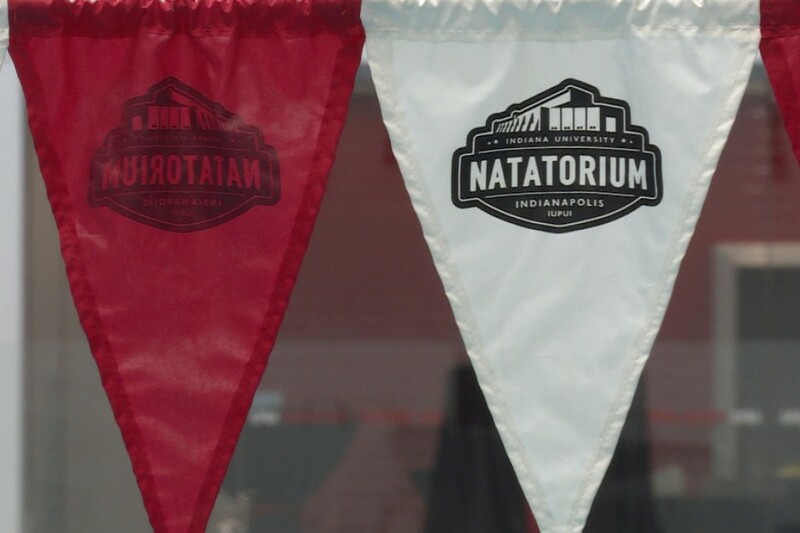 The Zero Waste Initiative at the IU Natatorium is an exemplary example of the positive impact collaborative efforts can have on sustainability, and we are looking forward to working with our community to grow sustainability in athletics in Indianapolis in the future.